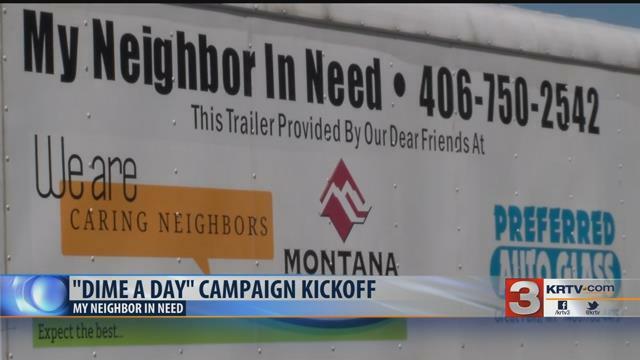 My Neighbor In Need kicked off its ‘Dime A Day’ campaign in Great Falls on Monday. They are asking for donations to help fund their free deliveries and pay for operating costs. The last two years, the organization raised roughly $28,000. This year they are hoping to raise $40,000. Organizers say they are sending out a mailer this week with more information about the fundraiser. “We have a wonderful community here in Great Falls and we have grown tremendously over the last three years and that’s through all the support of this community,” said My Neighbor In Need director Kim Wombolt. The Dime a Day campaign will continue until July 13th. You can donate on the My Neighbor in Need website, in person at their office in Times Square building, or through the mail by sending your donation to 525 Central Ave #M2, Great Falls, MT, 59401. My Neighbor in Need fulfilled its 1st need on March 21, 2012. After 4 years, we have, through the generosity of our community fulfilled over 6,600 Neighbor in Need requests and over 1,400 Student in Need Requests. Founder, Dave Snuggs originally hoped to fulfill about 200 need requests per year. D.A. 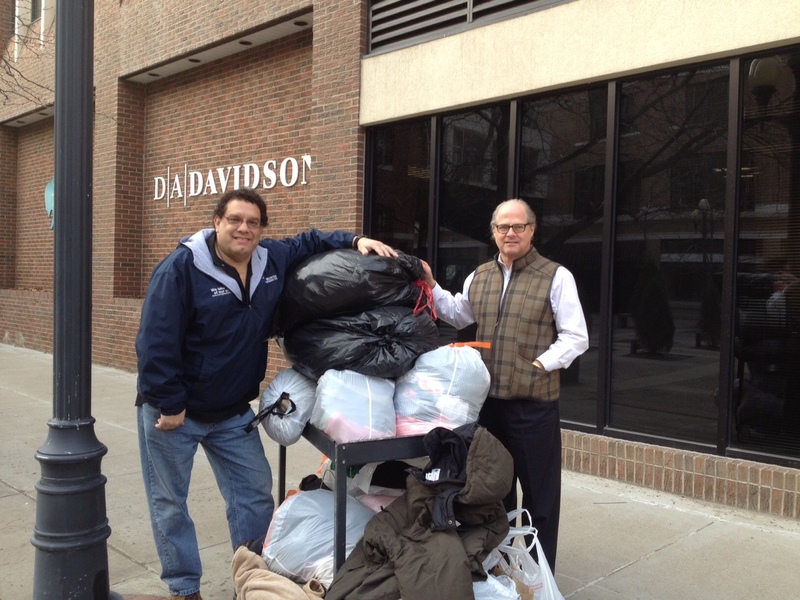 Davidson Employees raise $750 from Jeans Day! A Special “Super-Duper” You Rock Award goes to the employees at DA Davidson who raised $750 last Friday during their Jeans Day promotion. In addition to their financial support, several employees also donated coats, gloves, hats and more winter apparel to help our Students in Need! Thank you goes out to the team members at DA Davidson. Thank You To the kindness and generosity of Calumet Lubricants for their donation to My Student in Need matching the generous donation of the employees from JH Kelly. Thank You Alice Lee Lund Trust! We would like to send a Super-Duper You Rock award to the Alice Lee Lund Charitable Trust. On December 22, we were informed that the trust wanted to fulfill every need request for both My Neighbor in Need and My Student in Need that was live on the websites. The cost of all of the need requests was calculated and it totaled $3,070 but they provided $5,000. In addition, they donated another $1,000 to our “Mugs for Mittens” fundraising promotion going on inside Electric City Coffee, bringing the total of their amazing gift to $6,000! Because of their contribution, all of the need requests were fulfilled prior to the Christmas break. Friday, October 2nd will kick-off the Christmas season at Electric City Coffee (319 Central Avenue) from 5:00 – 9:00 pm at the First Friday Art Walk. From October 2nd until Christmas, folks can come into Electric City to donate children’s mittens or gloves. My Student In Need will distribute these mittens to children at various schools in Great Falls. You may also give a donation of any amount for My Student In Need to purchase mittens. On Friday, tables will be set for children of all ages to decorate a pair of mittens to display on the walls of Electric City. Sequins, beads and yarn will be provided! These decorated mittens will be hung on the brick walls of Electric City until Christmas. Ceramic coffee mugs will also be sold with embossed mittens with drip coffee included. All proceeds will go directly to My Student in Need to purchase more mittens. 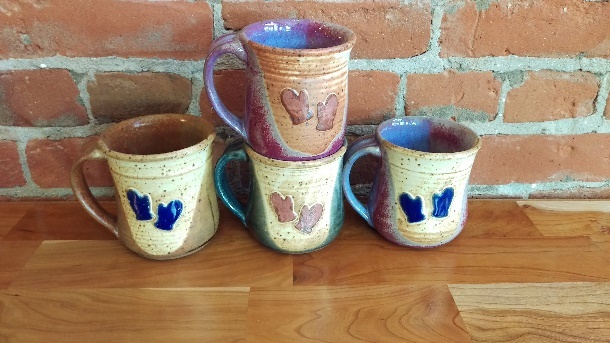 Stop in anytime to drop off your mittens, purchase a pottery mitten mug or give funds to purchase mittens. Join us this Friday at the First Friday Art Walk to begin your Christmas spirit. Last year’s Community Coat Drive collected more than 600 winter coats for kids in need when organizer Cyndi Baker said she was only hoping for 200. Baker and other businesses are partnering with My Neighbor in Need’s Student in Need program once again not just to provide coats, but other winter goods like boots, hats, gloves and snowpants in all sizes to outfit kids and keep them warm this winter. 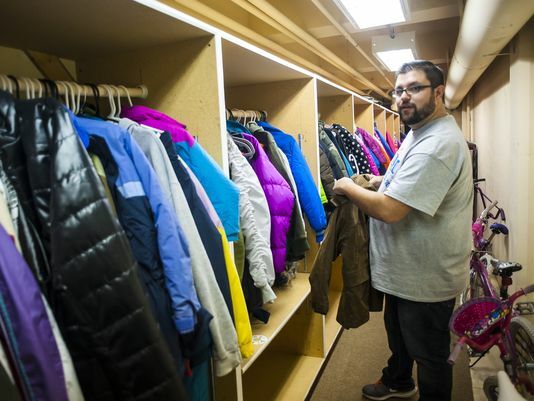 “Lots of times we can have a coat on a kid within the day,” said Kim Wombolt, executive director of My Neighbor in Need.